Get rich quick scams are as American as apple pie, and when combined with the abject stupidity of the Trump era, this actually makes a bit of sense. 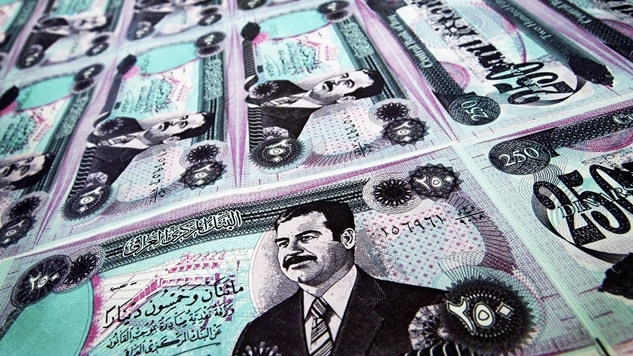 Most people understand Iraq through its destabilization from our invasion, and so the idea that the dinar could “come back” to pre-2003 or pre-Gulf War levels isn’t that crazy…if you don’t even have a rudimentary understanding of economics. This scam is both hilarious and depressing, as it could only exist in a country which values the almighty dollar over reason, and doesn’t even bother to teach its kids basic economic principles in school. If you have a relative this Thanksgiving selling you on this investment, try to push them towards something less stupid and risky, like any one of the scam cryptocurrencies that have lost 90+% of their value since January.